n the 1960s, the BBC screened 253 episodes of its cult science fiction show Doctor Who, starring William Hartnell and then Patrick Troughton as the time travelling Doctor. Yet by 1975, the Corporation had wiped the master tapes of every single one of these episodes. Of the 124 Doctor Who episodes starring Jon Pertwee shown between 1970 and 1974, the BBC destroyed over half of the original transmission tapes within two years of their original broadcast. 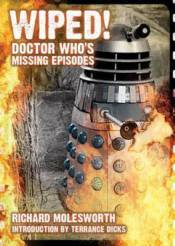 For the first time, this book looks in detail at how the episodes came to be missing in the first place, and examines how material subsequently came to be returned to the BBC. Along the way, those people involved in the recovery of lost slices of Doctor Who's past tell their stories in candid detail, many for the very first time. No more rumours, no more misinformation, no more fan gossip. The truth about Doctor Who's missing episodes can now be told in full!